#A-301,302 Gunpo IT Valley, 17, Gosan-ro 148beon-gil, Gunpo-si, Gyeonggi-do, Korea. We are welcoming you to visit at our Booth in K-HOSPITAL 2018, Coex, Seoul, South Korea. 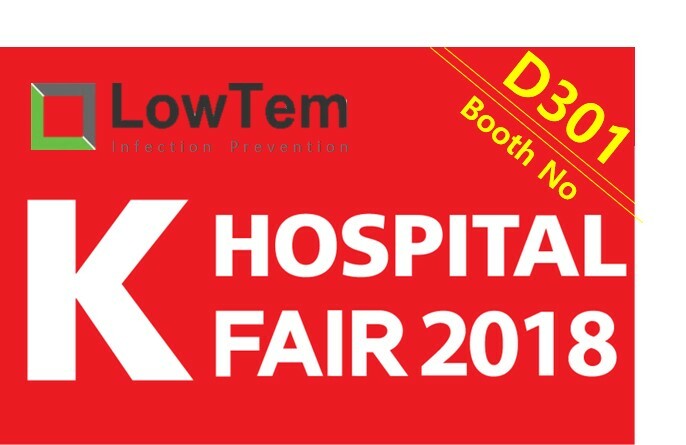 Our LowTem Co., Ltd. will be in D Hall, D301. We always consider more improving quality and technologies of LOWTEM Plasma Series to prevent infection for customers. Please stop by our booth because we would like to share information of innovative LOWTEM Series for vistors. If you have any questions about exhibition, please do not hesitate to contact us by email (dhkim@lowtem.com) or phone (+82-31-427-0763). COPYRIGHT(C)2014 LOWTEM CO.,LTD. ALL RIGHTS RESERVED.